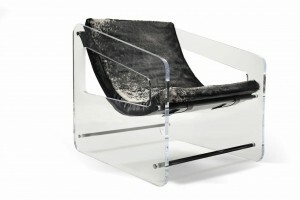 The B. Pila Design duo is about freedom. The brand encourages freedom to explore, to be yourself, to use spaces however the heart desires, and freedom from rigid movements and strict interpretations. From their beginnings as a design studio, Bea and Gabby Pila, mother and daughter, evolved B Pila into fabricating their singular designs and publishing “Sacred Spaces for Inspired Living”, a book espousing their original design philosophy. B Pila’s line of furniture and accessories is fully realized as fun luxury, fitting in neatly with their ethos of boundless ideas and unbridled creativity. Their bespoke furnishings reinterpret classic ideas and feature pleasantly unexpected combinations of materials and textures, all while displaying an effortless whimsy. This entry was posted in Artists and tagged B. Pila Design, contemporary home, design, designer, handcrafted, innovative design, Interior Design, lounge chairs, modern home chairs modern home, side chair, unique, unique chairs.